​Full-featured and powerful image editing app for the Mac. 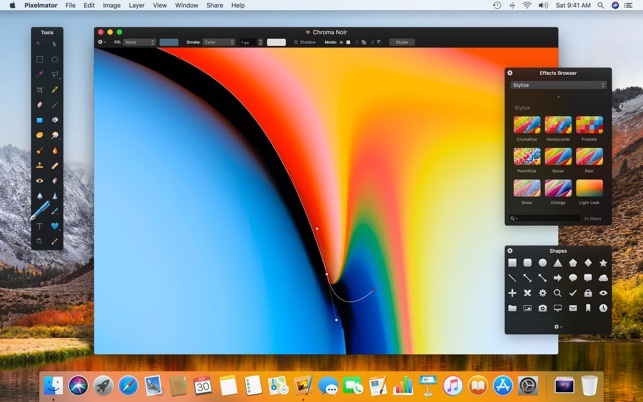 Pixelmator takes full advantage of the latest Mac features and technologies, giving you speedy, powerful tools that let you touch up and enhance images, draw or paint, apply dazzling effects, or create advanced compositions with ease. Once your images are ready, save them to popular image formats, share them via email or social networks, print them, or instantly add them to your Photos library. All right from Pixelmator. 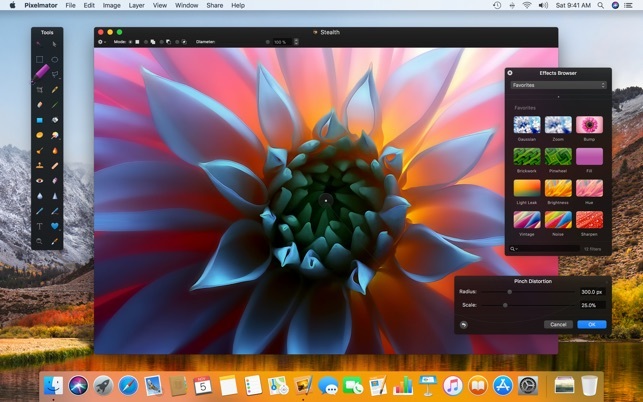 The new Pixelmator 3.8 Phoenix is designed to integrate seamlessly with macOS Mojave's fresh and modern look, macOS Continuity features, like Handoff, iCloud Drive, and Continuity Camera, and it works wonderfully together with Pixelmator for iOS. 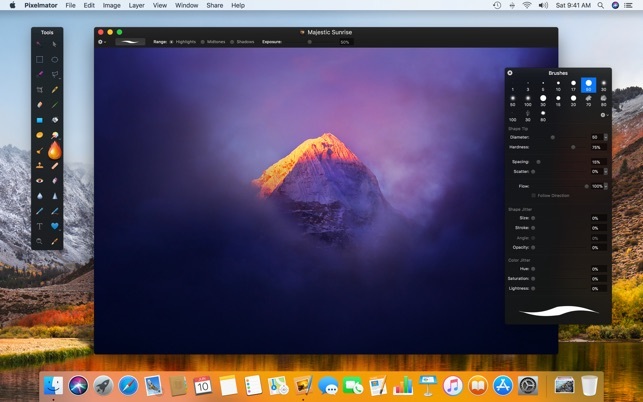 Pixelmator uses a number of macOS features and technologies like Cocoa, Metal, Core Image, Grand Central Dispatch, 64-bit, FaceTime camera, Automator, Full-Screen, built-in Sharing and much more. 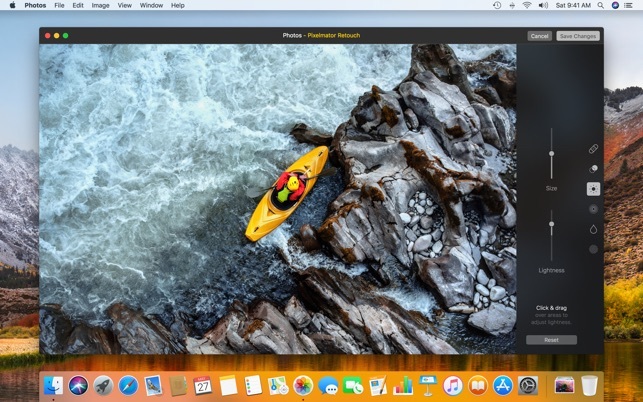 And Pixelmator’s beautiful interface and image editing engine are fully optimized for the MacBook Pro with Retina display. This update adds the ability to align and distribute layers and brings a number of stability improvements and bug fixes. • Automatically reposition layers in a composition relative to other layers or the boundaries of a selection using Align & Distribute. • Find Align Objects and Distribute Objects in the Layer menu. • A number of related fixes improve the stability of Pixelmator. • Pixelmator would occasionally quit unexpectedly on Mac computers with very large font libraries. Fixed. • If Show All Tabs was activated while an overlay from any tool was active, the overlay would remain visible. Fixed. Have any feedback about this update or Pixelmator in general? We’d love to hear it at support@pixelmator.com! I like pixelmator. I use it a lot. I would give it 4 stars. However, I bought it right after Pro had come out (or right before) and from that point until today they have not made a significant effort to make it clear to people that this is the old app being phased out. Now, since it’s app store only, I can’t even get a upgrade discount to get Pro, I have to pay for twice the price of Pixelmator all over again if I want Pro - which I would have just bought in the first place if the makers tried to inform new purchasers-to-be about Pro taking up the mantle. Great, they’ll keep it updated so it doesn’t break for a few months to years. It’s obviously not where the focus is, though if you look at the app store you would have to specifically make sure to check other software by Pixelmator to see they had Pro out on discount. It’s a bad business practice and it has hurt my goodwill towards the company; in the future I will look elsewhere or return to adobe, because I am not giving them another $60 because of app store deception. I like to create artwork rom scratch and have all of the major programs (like Phosotshop, Illustrator, Painter, Sketchbook Pro and Pixelmator). I like the simplicity of the Pixelmator interface (unlike the unintuitive and exhaustive Photoshop user interface), but Pixelmator lacks 2 VERY essential tools: a decent airbrush tool and a way to create a mask (frisket) to airbrush into “clean areas” (think traditional airbrush work using cut frisket film). Photoshop makes this cumbersome and while Sketchbook Pro is perhaps the most natural and “lifelike” product to use, it also lacks a way to create a “frisket” or mask (Painter was once a decent program but has gone the route of Photoshop and has so many features it requires classes to use). 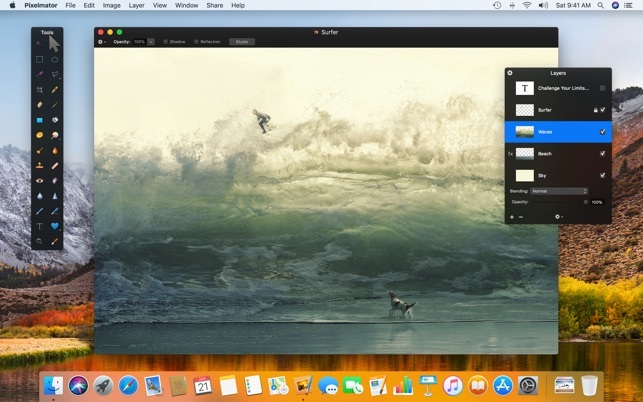 Pixelmator has promise, but needs to add these essential features. I will also say the folks at Pixelmator respond to questions and I am rooting for them to create a new version for artists (and some new tutorials). I am always banging my head getting this to work. Other apps it’s easy to do an effect, and I can find the parts in the app to do it, but it never works. I google, I try the online tutorials, and it doesn’t work. I see other people complaining about the same thing. No error message, just no result. It shouldn’t be this hard. I fired up a different app (named after a tree seed) and found effects and it worked as expected first time (too bad their UI wasn’t as easy to navigate as Pixelmator). If the devs are wanting this to be a photo editing tool for the common person, it needs to be less cryptic. My success rate of getting things to work following their video tutorials is 20%. I just bail and do something else. I love that they have all the videos, but there is a design issue or a UX issue, and I know it’s not just me because I see plenty of other posts online from others saying the same thing.